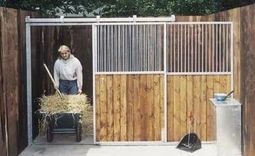 Our strong, one piece internal stabling panels are perfect for converting a barn into separate stables. 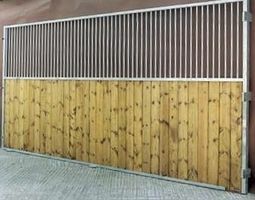 We offer the panels with grilles on the upper part or as a fully boarded option. 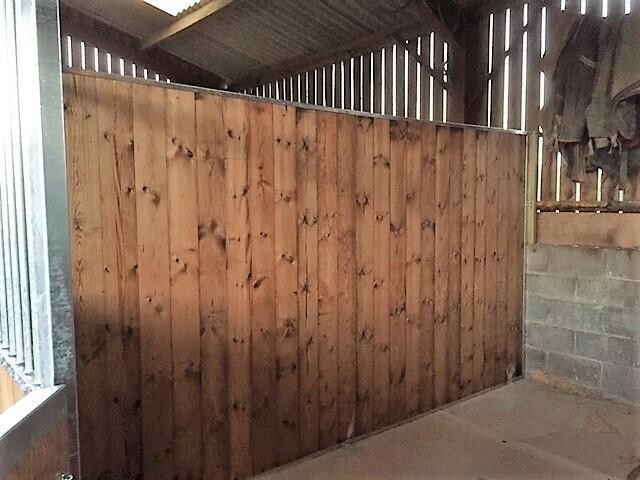 This is perfect for a row of internal stables where you prefer to have the end boarded off, maybe because you would like the storage space, or they can be used as dividers if you have a horse that would prefer not to see other horses. Our beautiful v-jointed redwood tongue and groove boards are ready fitted to enable a rapid installation. 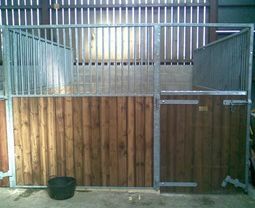 Construction 125mm x 36mm planed redwood tongue & groove boards 45mm U-channel bottom/top rail with supporting mid bar. External frame of 40mm U-Channel Sizes 2.1m high (82 3/4") x 3.66 wide (12"). Any other size on request.